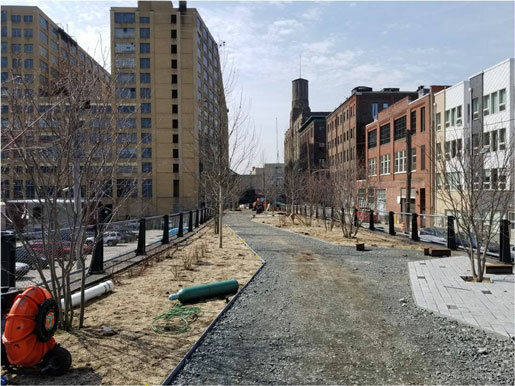 With the Rail Park on course for a mid-June opening, the new surface of the 1300 block of Noble Street has been poured, curbs and lighting installed with landscaping to follow shortly. Trees lined up for planting along Noble Street. 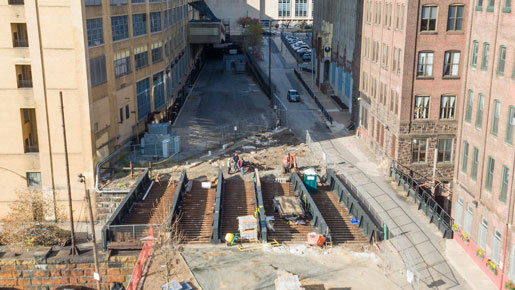 With the decision to preserve the 13th Street bridge, the bridge has been reinforced. 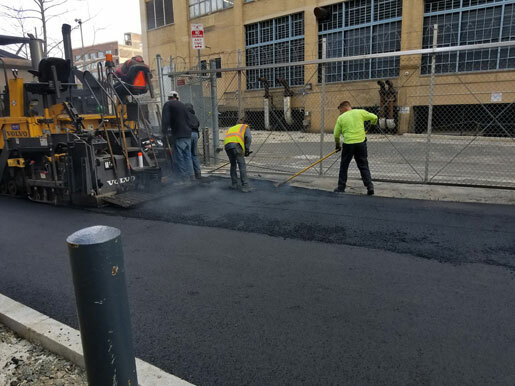 New concrete slabs have been poured with new walking surfaces and landscaping to follow. 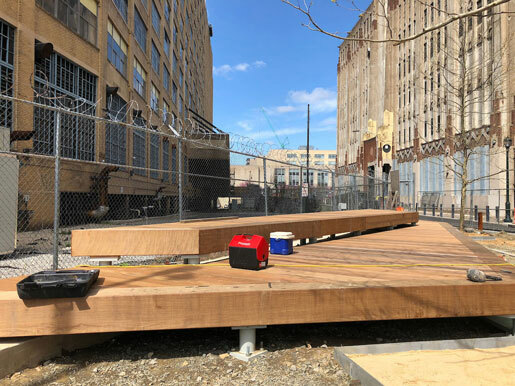 In the connecting entrance between Noble Street and the 13th Street bridge, benches have been installed. The donor wall will soon be installed, replacing the current chain-link fence. Incredibly hard Ipe wood from Brazil was used to construct all the new benches. With spring finally arriving, trees along the trail have started to bloom. Plants and the new chip-seal walking surface will be the final elements to be installed. New benches are being installed. 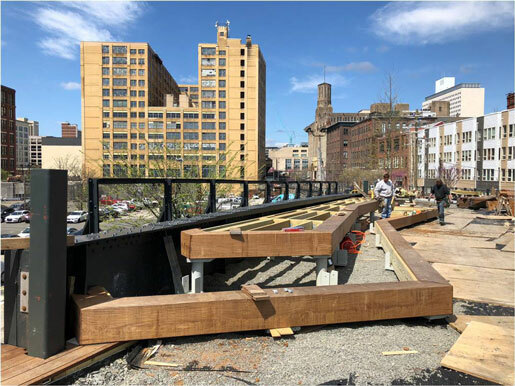 New boardwalk platforms line the edge of the park. 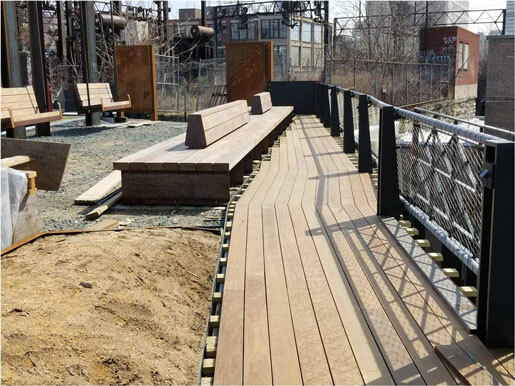 Swings on the Callowhill bridge are fully installed. 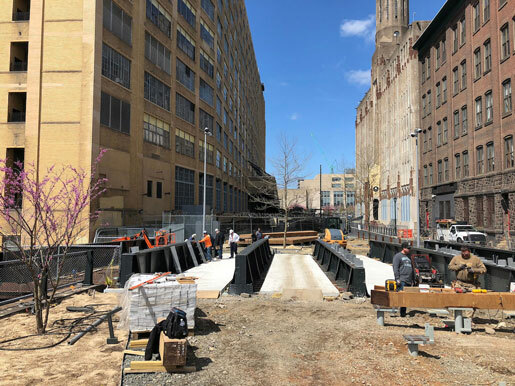 Continuing contributions are closing the small, remaining gap in funding for the Rail Park, but you can still help the Center City District Foundation fully fund the project. 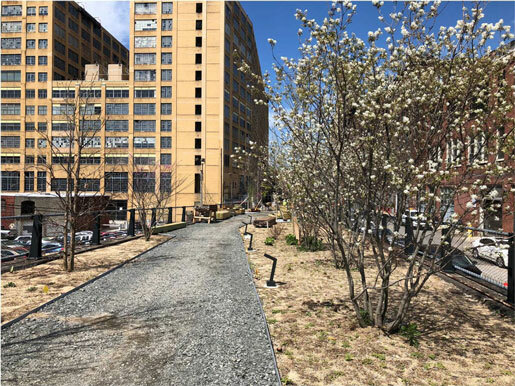 Make this transformational park a reality by making a gift today. 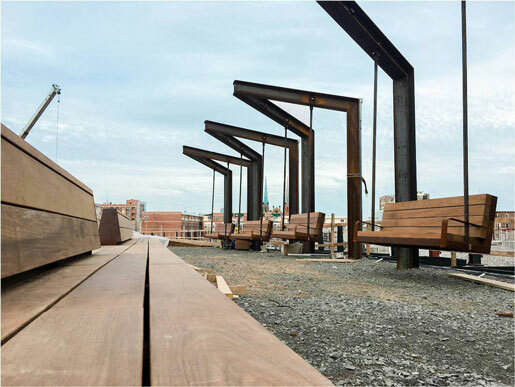 Our Rail Park Benefactor Program offers a number of donor options, including naming opportunities for park swings, benches, tiered seating and hanging planter boxes. Only a few remain! Leave a lasting legacy by visiting supportccdf.org/railparkbenefactor.